Hello again! Stay in the loop and rise to the top; check out some of the latest article surrounding Internet marketing. Why the Google Penguin Update is Good for SEO;Content Experiments in Google Analytics Replace Google Website Optimizer; Twitter Confirms Facebook Integration of Username, Hashtags, Photo; Forget Reading! Web Content Is Meant To Be Skimmed; and PPC Landing Page Optimisation. 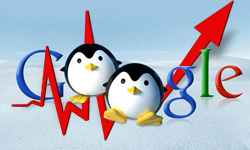 It has been greatly debated over whether or not Google’s latest algorithm update Penguin is a positive or negative when regarding SEO. Nonetheless, time is pointing out the positives. Penguin is only affecting Black Hat SEO “artists” and for all the White Hat SEO practitioners this update is actually a good thing. SEO that have been delivering quality from the start should have no problem keeping up with Google’s search algorithms. 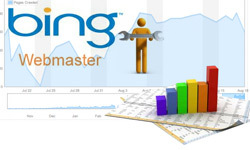 As of August 1st Google’s Website Optimizer will become inactive. Gone but not forgotten, this tool will be replaced by Content Experiments in Google Analytics. This new feature is now active in Google Analytics and will carry out much of the same functions as Website Optimizer. Attached to this article is a video that outlines the a step-by-step introduction to this new feature. Twitter not only updated its Twitterbird logo, but it also announced their integration with Facebook. You can now edit Twitter account settings to link directly to your Facebook timeline. This feature is also available for Facebook Fan Pages which will be a big time-saver for publishing desired content. All @usernames and #hashtags will create a rich link accessible to all Facebook users. Do you know if your audience is actually reading your content? Learn about the three different types of online readers: non-readers, readers and skimmers. Making content that is skimmable will ensure that your key messages and properly portrayed to targeted audiences. Get “write” to the point, make visually appealing content and ensure everyone has a positive experience on your site. Having a quality landing pages has been proven to increase conversion rate. There’s not one-size fits template for a effective landing page; therefore having multiple landing pages tailored to your specific audience is key to increase increasing quality score and boosting conversion. 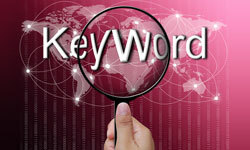 This article outlines some key AdWords concepts that can assist the improvement of your brand’s conversion.